Caption slip reads: "Photographer: Hecht. Date: 1957-04-25. Reporter: Hertel. Assignment: Red hearing. 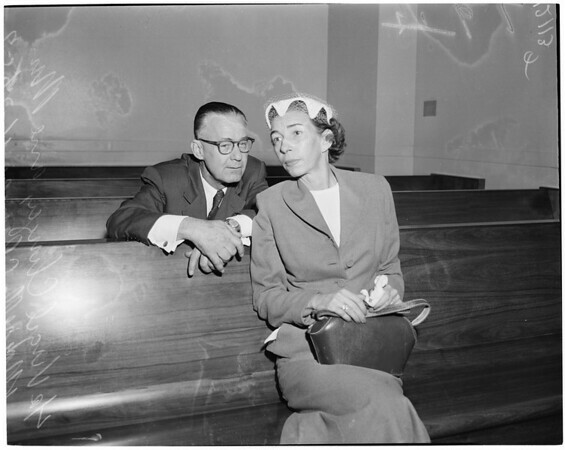 78-79, L to R: Virgil Clinger, 56, and Mrs. Moiselle Clinger (witnesses).